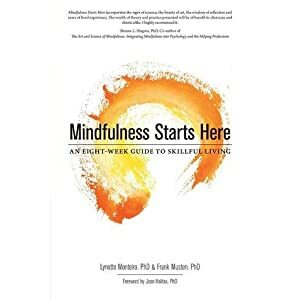 Five Skillful Habits: An ethics-based mindfulness intervention has been published in Counseling and Spirituality, 2010. This is a culmination of 7 years of courses at the OMC. We’ve always been conerned about the ways in which the idea of mindfulness can be misunderstood in a teaching process. Our courses have been guided by the core of practice which is based in cultivating understanding so that we can direct behaviours towards a healthy outcome. Healthy, in this case, means beneficial, useful, sustaining, and regenerating. This article explores the need for a framework of self-directed ethical practice in mindfulness interventions and shows how to do it. We have been helped by the courage of over 400 participants in our programs who have contributed to our understanding of how best to teach and support a practice of mindfulness. Thank you to all of you who attended the programs, practiced diligently, and continue to support yourselves through ongoing practice! Congratulations on your first publication in the journal of “Counseling and Spirituality, 2010”. Having gone through the OMC mindfulness training, I can certainly attest that it has made a tremendously positive impact in my daily life. You are an inspiration, Janet! We are so grateful for your commitment to yourself.